If you’re looking to buy a home, be prepared to meet a few challenges with today’s housing market. 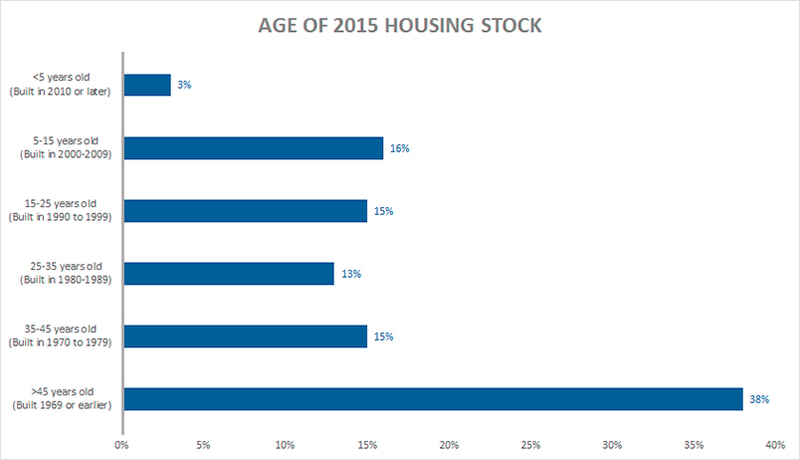 Not only is there a shortage of homes, but the available housing stock is aging. These challenges might seem discouraging but taking a look at the 2018 housing market and what options you have as a homebuyer, it is still possible to find a home to make your own. As of 2015, 66% of the US owner-occupied housing stock was built before 1980, with around 38% built before 1970, according to the National Association of Home Builders (NAHB). Many of these homes are going to need repairs, renovations, or updates. And while there are a lot of new homes being built throughout the cotuntry, buyers should not turn away from an older home that may need some TLC. There are many renovation and repair loan options available, such as the FHA 203(K) loan or Fannie Mae’s HomeStyle® loan. The FHA 203k renovation loan allows a qualified borrower to purchase or refinance a home and finance with one loan, the cost of renovations/repairs into their overall loan, not to exceed 110% of the after-improved value of the home. To learn more about this loan, click here. The Fannie Mae Homstyle® Renovation loan allows a qualified borrower to purchase or refinance a home and finance with one loan, the cost of renovations/repairs into their overall loan, not to exceed 75% of the after completed value of the home based on the appraisal or the total acquisition cost, whichever is less. To learn more about this loan, click here. Every home is unique and will require varying repairs and updates. But with these mortgage loan options, your dream of updating an older home and becoming a homeowner are possible! For more information about how to finance renovations or home improvements, fill out the contact form below and one of our licensed renovation loan originators will be in contact with you soon.